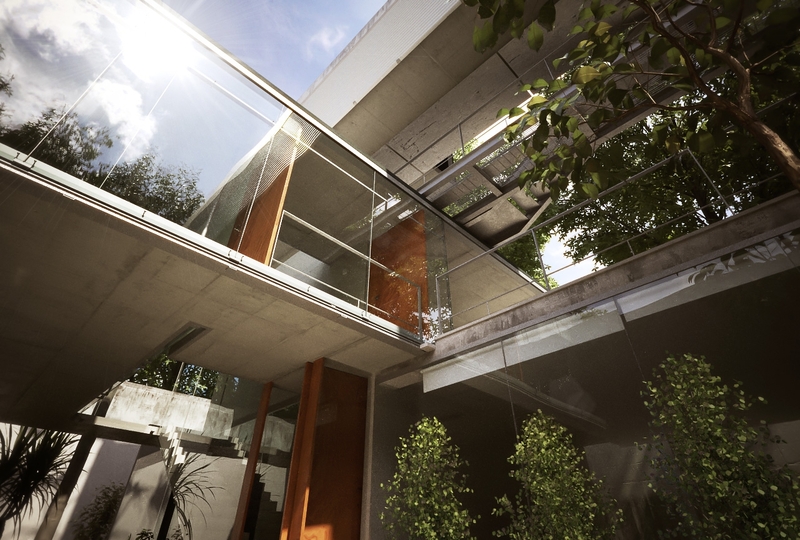 SandroS recently posted these amazing renders of Angelo Bucci and Alvaro Puntoni’s Carapicuiba House. 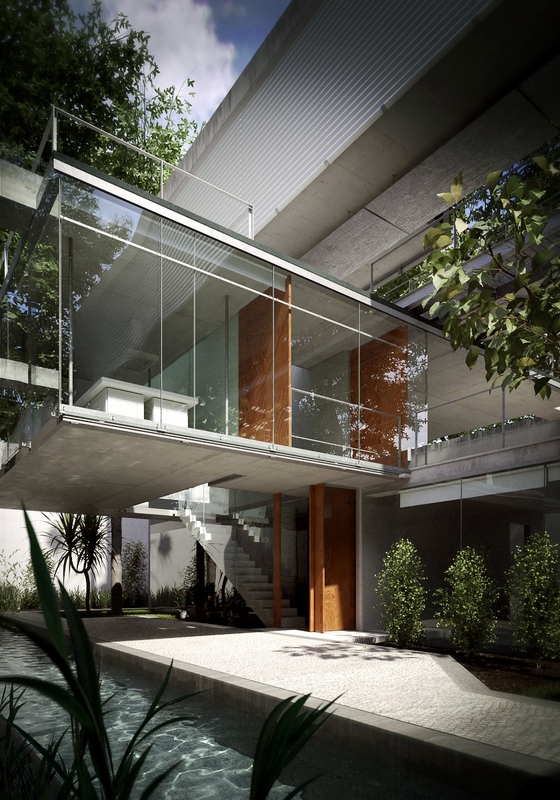 The house and accessories were modelled and UV’ed in modo, and the image was rendered in Thea Render. All the plants used in these renders are from our 130 free XfrogPlants! It’s not the most practical house in the world but I love the way the kitchen area hangs over the pool and as you can see, this is my main area of interest in the renders. 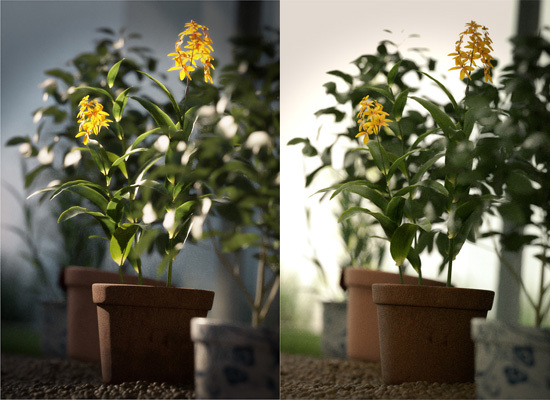 I’ve tried to keep the materials similar to those used but for the lighting I chose a nice sunny day (except in the first overcast render) which is when i think this house really shines (lousy pun not intended). A couple of the camera angles are similar to the reference photos but are not intended to be an exact match. I changed the pot to better match the reference photos, and I made some manual changes (i.e. leaf by leaf in modo) to make sure there are no intersecting leaves and to get the leaves in more random positions. I may have subdivided the leaves a bit more too. All the textures apart from the pot texture are Xfrog. I used the Ginger plants a lot as fillers in the flower bed by the pool and in front of the tall rear retaining wall. Also in there are some of the bushes. I have to say the plants are fantastic! 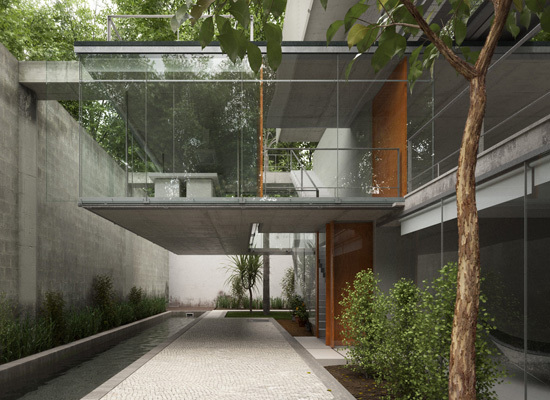 This entry was posted on Tuesday, September 13th, 2011 at 2:18 pm	and is filed under Customer Renders. You can follow any responses to this entry through the RSS 2.0 feed. You can leave a response, or trackback from your own site.